SEOUL, REPUBLIC OF KOREA — Following the arrest and ongoing legal proceedings of former Korea MD Junghwan Kim over bribery charges, J. Walter Thompson Asia-Pacific has confirmed that it will establish a new unit in partnership with sister agency Y&R in Korea. "The new unit will operate within the Y&R office, under the J. Walter Thompson name, and be managed by Y&R’s managing director for Korea in partnership with J. Walter Thompson’s Asia Pacific and Y&R Asia Pacific’s chief executive officers," JWT said in a statement this morning. Reportedly, only the international business division of JWT is moving under Y&R. The statement came in response to queries from Campaign Asia-Pacific around rumors that the network had shuttered its JWT Adventure Korea office and moved its business into Y&R Korea. The news of Kim’s arrest broke in March over allegations that he had created slush funds. The funds were allegedly created by exaggerating the unit price in contracts with partners, and were worth more than $826,000, according to reports by Korean media. 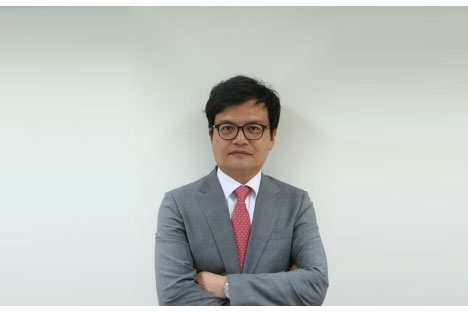 At the time of the arrest, J. Walter Thompson issued a statement saying that the company had on Feb. 23, "accepted the resignation of the managing director of JWT Adventure [Junghwan Kim] in connection with an investigation by the prosecutor’s office". The agency has since suspended a number of people, including the finance director, pending the outcome of the investigation. "We are cooperating fully with the Korean authorities on this matter," the agency said in March. "We have also appointed external auditors and are undergoing a thorough internal investigation as well." JWT said today that it is unable to comment further, because the investigation is ongoing and because it involves non-JWT individuals and other companies. Korean media have also reported that Seo Hong-min, owner of private loan company Lead Corp, was arrested on May 2. The firm was being investigated over allegations that Seo had pressured JWT, and another agency, Oricom (owned by Doosan), into giving him bribes of about US$1 million. Oricom is also under investigation, though it is currently unclear which individuals at the company have been implicated. The investigation started with tobacco and ginseng company KT&G, and that company's president, Baek Bok-In, is still under investigation over allegations he received a bribe of $50,000 from JWT. He was expected to be formally charged at the end of April, but there has been no news of this.